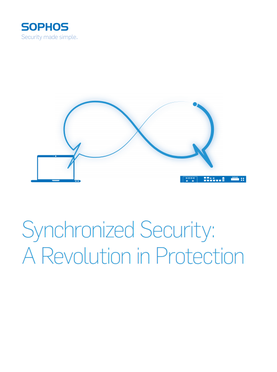 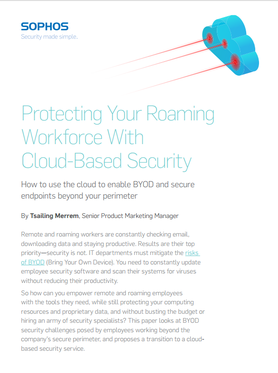 Endpoint and Network Security come together for the first time. 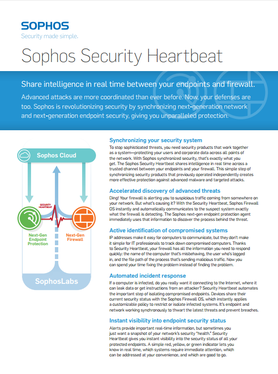 Sophos' all-in-one solution makes communication possible between network, cloud and workplace. 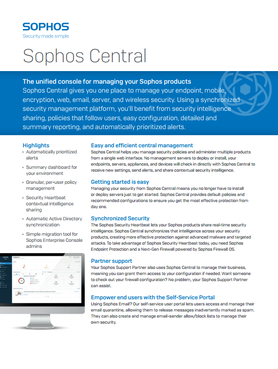 As soon as users connect via Sophos Central the chain is complete and the security system can automatically intervene with the heartbeat ensuring continuous communication between the endpoints and firewall. 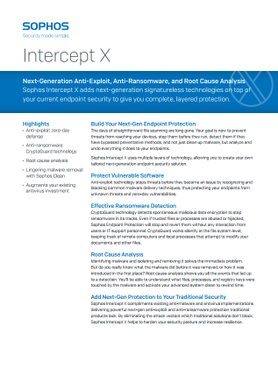 Sophos Intercept X provides next gen anti-ransomware CryptoGuard technology, anti-exploit zero-day defense, root cause analysis and removal of malware with Sophos Clean. 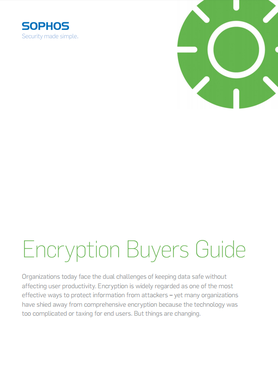 Data Protection laws are forcing organisations to improve the security surrounding sensitive data. 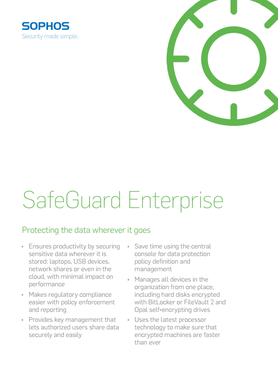 Sophos Safe Guard Sychronized Encryption makes the difference between having to inform your customers of a data leak or just the authorities because you can prove the information adequately encrypted. 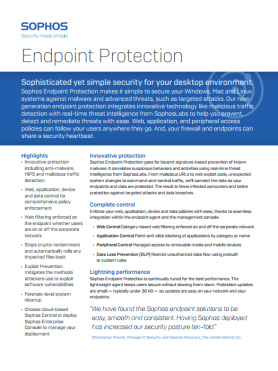 Sophos Intercept X runs seamlessly next to endpoint solutions from other AV and next-gen vendors, or alongside Sophos Central Endpoint Advanced offering a powerful additional security layer.